Sic bo is a dice game, popular in Asian countries such as China, Korea and the Philippines, that is now catching on in the Western world as well. Although its name translates to English as “dice pair,” the game is actually played with three dice. Before each roll, players bet on its result according to a complex system of combinations. 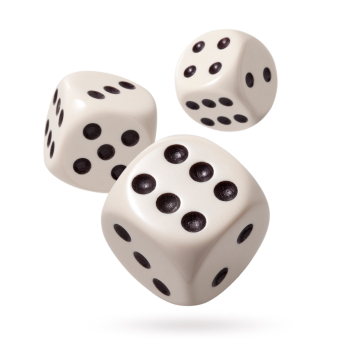 Odds range from 1:1, for a single dice outcome, to 180:1, for a specific three of a kind. To help players keep track of the betting system, sic bo is played on a specially designed table top which depicts the 50 possible bets and their payouts. 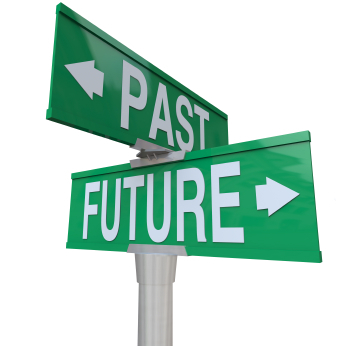 Sic bo is a game of sheer luck and following a strategy will not change the results. Its enjoyment factor comes from the exceptionally high payouts which players occasionally receive. Click for details on how to play and Sic Bo table layout. Sic bo originally comes from China. The game is hundreds or perhaps even thousands of years old, and its exact history is not known, although the theory goes that it was first played with a pair of painted bricks. Over time these were replaced with smaller, easier to handle dice and a third die was added to make the game more challenging. The three dice were placed on a porcelain plate and topped with a bowl before being shaken. Then the dice were uncovered to show the result. Sic bo was brought to North America by Chinese immigrants around the turn of the 20th century and gradually caught on among non-Chinese players as well. The game continues to be extremely widely played in China, where many varieties of games of chance are popular. Western land based casinos began offering sic bo as a novelty game, especially as Chinese tourism began to increase in the 1990s. It is most commonly seen in American, British and Australian casinos. These days three standard dice are used in casino sic bo. They are shaken in a cup using a mechanical device. The special sic bo table is computerized to light up the winning areas. This enables players to check quickly whether their wager has won, and adds to the excitement and drama of the game. Nowadays most online casinos offer games of sic bo as part of their table game line up as well, using an RNG (random number generator) to simulate the roll of the dice. The most important point in sic bo is to understand the various kinds of bets. The most frequent wager is Big or Small (also called Hi-Lo), which predicts either that the dice’s total will be between 11 and 17 or that they will total 4 to 10. This type of bet is the simplest and has the lowest house advantage – for this reason, it is good choice for beginning players. Other common bets are Single Bet (wagering that one or more of the dice will show a certain number), Two Numbers (a combination of two predetermined numbers will be shown) Totals (the dice will add up to a specific sum) or Triplets (the dice roll will produce three of a kind). Sic bo, a game popular in Asia, is offered in land based and online casinos in the West. Players wager on the roll of three dice, according to a complex betting system, which is indicated on the special playing table.